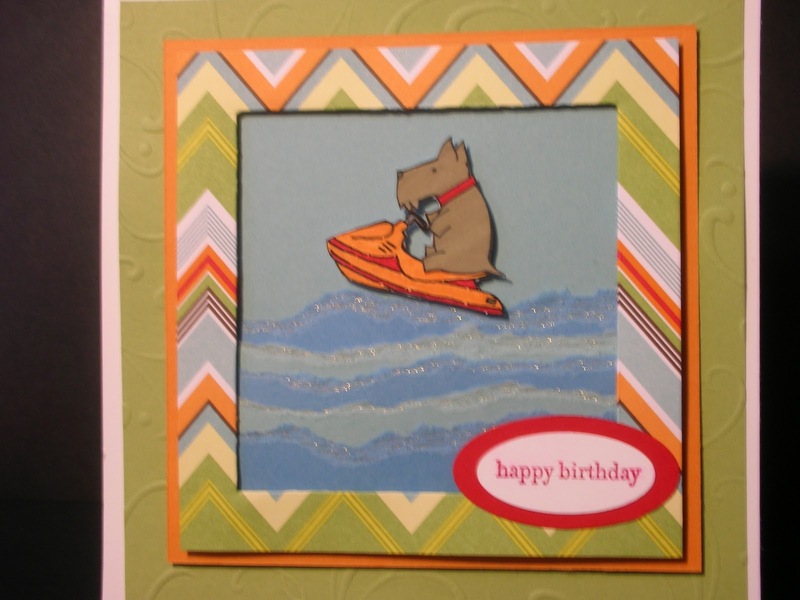 Inking It Up With Cathy: Stampin' Up! 's Friends Fur-Ever!!! I fell in love with the little Scottie dogs in this set when it came out in July but just hadn't found the right way of highlight the little guy. My friend, Lela Meinke - Serenity Stamper to those of you on SCS - solved that! I was over at her house one day and she had used him with the Loads of Fun stamp set. I can't remember if she had used the jet ski like I have above or if she had used the snowmobile but either way, it inspired this card! Too cute! My next challenge is to put him on the ATV and do the masking tape technique in camoflage colors! I'll let you know how that turns out but in the meantime, isn't he just adorable???? Thanks Lela!!! !